What type of doors can I use the TurboLock on? These locks can be installed on a variety of doors including but not limited to: oak, paneled, and even steel doors. These locks can be installed easily on most doors with pre-drilled holes. In the event that your door needs to have its holes manually drilled in, please check our website for updated user manuals and instructions. If an updated manual is not available, check with your local handyman or carpenter. If your door happens to have two cut-outs, check the clearance between the two. Make sure there is enough distance so that you may seal off any extra opening. This lock was designed for use with bikes and/or other similar transportation products with wheels etc. This lock was designed for use primarily with parking spots. It can be used for other purposes, however. What type of tools do I need to install the lock? As most doors come with pre-existing holes drilled in, all you will need is a screwdriver in order to install the lock. In the event that you are installing the lock on a door without pre-existing holes, you will need a hammer, chisel, a screwdriver, drill, 2” hole saw drill bit, and 7/8 spade bit (or a 1” hole saw drill bit). This lock does not require any special installation. A screwdriver is included. Store the screwdriver in a suitable location. As the design is unique, the lock cannot be recharged if the screwdriver is lost. As this lock will need to be attached to the ground, tools are required. You will need a hammer drill and a 15/32” masonry drill bit. Do NOT under any circumstances use a standard drill. This may cause severe damage to the tool and/or result in personal injury. Use a hammer drill and/or a type of drill suited for use with the type of material you are drilling through. Note, using chalk and tape may help during installation since you can mark the ground for drilling spots and tape off the bit to measure drilling depth. These tools are optional but highly recommended. What type of batteries does the lock use? These locks use 4x AAA batteries. These locks use 4x AA batteries. 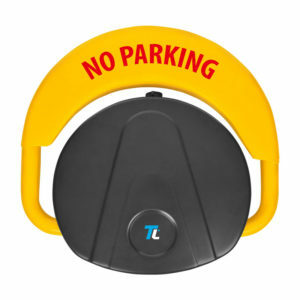 This lock uses a built-in lithium polymer battery and should not need replacement as the lock is rechargeable. This lock uses 4x D batteries. How long do the batteries typically last? Note, with all locks, actual battery life varies and will depend on individual use. These locks are designed to last for approximately 1 year before requiring a battery change. This lock lasts approximately 6 months with typical usage. While on standby, the lock’s battery lasts approximately 9 months. 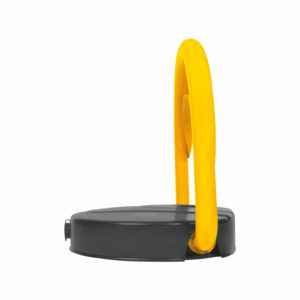 This lock is designed to last up to 5000 uses before requiring a battery change. To replace the batteries, simply slide the back cover up until it detaches from the lock. Insert 4x AA batteries. To replace the cover, simply slide it down over the battery compartment. To replace the batteries, simply unscrew the back cover and insert 4x AAA batteries. To replace the cover, line up the screw openings with the openings in the battery compartment and fasten the screws to secure. This lock features a built-in battery that should not be removed. The lock can be recharged as needed. To recharge it, use the included screwdriver and a micro USB cable (not included) to connect the lock to a suitable power source such as a computer or a wall outlet via an adapter (not included). First, lower the arm. To replace the batteries, use the included keys to unlock the cover then remove it. Disconnect the battery box from the rest of the lock. Open the battery box, put 4x D batteries into it, and then close it. Reconnect the battery box then reinstall and lock the cover. The lock’s latch feels loose. If the latch feels loose, this likely means there are issues with the way it was installed. Use a screwdriver to tighten the screws. The keypad doesn’t register when I try to push a button. In order to use the keypad, press the center of the keypad firmly. It’s important that you use the pads of your fingers rather than your fingertips to push down on the keypad. The keypad should light up. Use a single finger to gently but firmly enter your passcode. If the numbers still don’t register, try again. Pressing the * key deactivates the TL-100’s keypad. This does not apply to the TL-200. The lock may not be receiving power. This likely means the batteries need to be replaced. Replace the batteries as needed. If the keypad still continues not to light up or otherwise activate when you press in numbers, contact customer service for further troubleshooting. The lock may not be receiving power. This likely means the battery needs recharged. Recharge the batteries as needed. If the keypad still continues not to light up or otherwise activate when you press in numbers, contact customer service for further troubleshooting. I can’t see the keypad. To light up the keypad, simply press any key on the keypad. It’s possible the protective film is damaged rather than the keypad itself. Check your keypad and make sure the protective film was removed. If this film was removed and the keypad itself somehow sustained damage, please contact customer service. What happens if I’ve forgotten my password? / What do I do if I lost my phone? In the event that you’ve forgotten your password, simply use your phone to engage the lock via proximity. 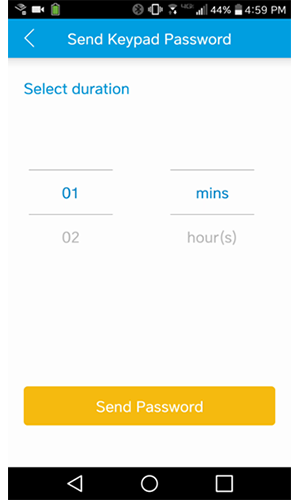 If you are the admin for the lock, you can generate a one-time use code to gain entry. If you are a user for the lock, you can contact the admin and request a new key. If you do not have your phone, try using a MiFi card if possible. After entering, or if you have access to the back panel, follow the steps below. As the TurboLock is a completely secure system; in the event that you don’t have your code, phone with the TurboLock app, or MiFi Card and are unable to access the back section of your lock, you will need to contact a locksmith to dismantle your door. Manufacturer and sellers of TurboLock® shall not be held responsible for any damages, including without limitation, property damage or personal injury, resulting from lost or forgotten passwords, shared passwords, hacked accounts or passwords, customer error or misuse of product, and modification of any TurboLock® product. Passwords should be changed from time to time or as appropriate for the intended use and access of the secured property. Please ensure that your TurboLock® product is properly charged and/or has adequate battery power at all times. Please review the User Manual prior to use of your TurboLock® product. In the event that you’ve forgotten your password, you will need to access the back section. After entering, or if you have access to the back section, follow the steps below. In the event that you’ve forgotten your password, simply use your phone to engage the lock via proximity. If you are the admin for the lock, you can generate a one-time use code to gain entry. 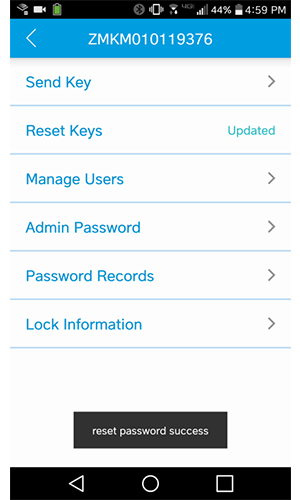 If you are a user for the lock, you can contact the admin and request a new key or passcode. If you do not have your phone, try using a MiFi card if possible. In the event that you’ve forgotten your password, simply use your phone to engage the lock via proximity. If you are the admin for the lock, you can generate a one-time use code to gain entry. If you are a user for the lock, you can contact the admin and request a new key or passcode. If these methods are not available, enter via other means if possible, or if you have access to the back panel, follow the steps below. As the TurboLock is a completely secure system; in the event that you don’t have your admin password or are unable to access the back section of your lock, you will need to contact a locksmith to dismantle your door or lock. In the event that you’ve forgotten your keypad password, you will need to use your phone to unlock via proximity. Simply open the app, make sure Bluetooth is turned on, and press any key to wake up the lock. It should unlock automatically. If there is some issue with this unlock method, the lock’s admin can use the app to generate a temporary keypad key for personal use to give to a user. 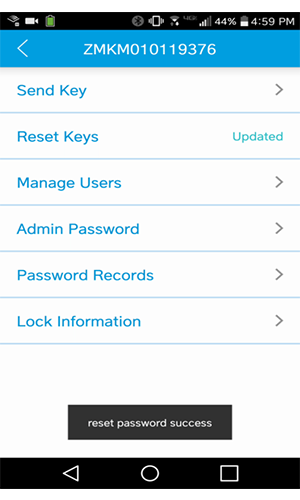 Tap “Admin Password” to open the corresponding admin-only menu. Tap “Send Keypad Password”, select duration and send. A temporary keypad password (8-10 digits) should then display on-screen. Give this code to the desired party or use as needed. As the TurboLock is a completely secure system; in the event that you don’t have your admin password, cannot receive a new password from the admin, or do not have access to the app, you will need to contact a locksmith to dismantle your lock. My MIFI card won’t scan. Hold your MIFI card near keypad, making sure that there are no other MIFI cards, Bluetooth-connected phones, or other devices nearby as these could interfere with connectivity. Check to make sure that your individual MIFI card isn’t the issue by trying to swipe another MIFI card through the system. If the other MIFI card is able to go through, but your card isn’t, you may need to swap out your MIFI card. If both MIFI cards are unable to go through, there may be an issue with your Turbolock, please contact customer service. What happens if my batteries died? How do I use the backup battery port? In the event that your batteries have died, these locks feature a micro USB port in the front underside of the lock. You can connect a power source such as a USB power bank in order to supply power. Make sure your power bank is on, press any button on the keypad to power the lock, and then enter the admin password to engage the lock. In the event that your batteries have died, these locks use a special port in the front underside of the lock. You can connect the included battery pack to the lock via this port. Simply fill in the battery pack with the 4x AAA batteries and plug it into the lock, use the switch to turn it on, and press any button on the keypad to power the lock. You should then be able to key in your password and enter. It is recommended that you change out your batteries soon in order to prevent further mishaps. In the event that your batteries have died and you have your screwdriver, use the screwdriver to unfasten the screws then remove the back cover. This lock features a micro USB port inside the back compartment. You can connect to a power source such as a USB power bank in order to supply power. Make sure your power bank is on, press any button on the keypad to power the lock, then enter the admin password to engage the lock. It is recommended that you recharge your batteries soon in order to prevent further mishaps. If your lock motor won’t engage, check to make sure the latch pin is properly threaded through the latch assembly and/or that the all parts were installed correctly. After pressing the keypad and unlocking the lock, listen for the sound of the whirring motors. If there is no sound, the lock is not receiving power. Make sure the batteries have enough power and the cables connecting the front and back of the lock are fully connected. If your lock motor won’t engage, check to make sure the chain plug was fully inserted and that the lock engaged and locked. It will not unlock again if already opened. 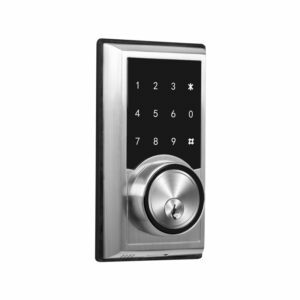 After pressing the keypad and unlocking the lock, check for vibration or the sound of the whirring motors. If there is no sound, the lock is not receiving power. Make sure the batteries have enough power. If your lock’s motor won’t engage, check the app to make sure battery power is not low. Why doesn’t my TurboLock lock correctly? There is probably an issue with the TurboLock’s latching mechanism. 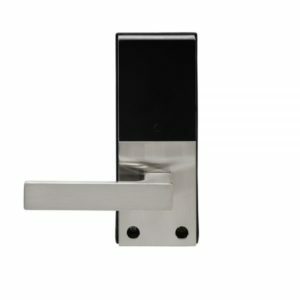 If the latch is consistently getting stuck, it is probable that there are issues with its installation. Check if there is any debris caught in the latch mechanism. If not, disassemble and reassemble the lock. 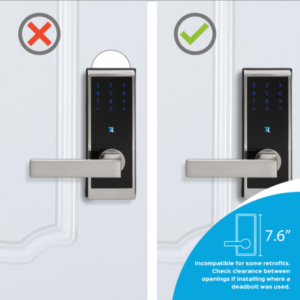 If the issue persists after reinstalling the lock, contact customer service. The lock’s chain plug may not have been correctly inserted. Press and hold the Release Button on the side of the lock while inserting the chain plug into the lock hole. Let go and push the plug down into the lock as needed. The plug should click into place. Press the Lock Button on the keypad. The bike lock has successfully locked when it issues a beeping sound and vibrates. There may be some issue with the app. Make sure your phone is within 32ft of the lock and Bluetooth is turned on before attempting to use the lock. If adjusting connectivity range does not solve the issue, contact customer service for additional troubleshooting. I installed the lock, but the latch bolt won’t extend. / The door won’t close. There is probably an issue with the TurboLock’s latch mechanism or bolt. Check if there is any debris caught around the latch bolt or strike. If there is no debris and the latch is consistently getting stuck, it might not have been installed correctly. If not, disassemble and reassemble the lock. Why is the keypad always on? The keypad might be on due to a glitch in the electronic components. Luckily, by resetting the lock, the lighting issue should be resolved. Access the back section of the TL-100 and disconnect the batteries. If the problem persists, contact customer service. How do I clean my TurboLock? 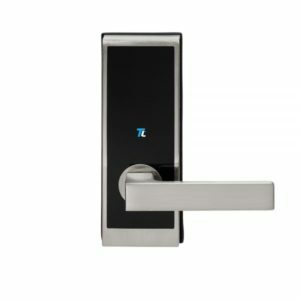 The lock is crafted using weather sealed high-quality alloy and stainless steel and should generally not require frequent cleaning. However, if you wish to clean the lock, dampen a non-abrasive cloth (such as microfiber) with water and/or a mild cleaner and gently wipe down the lock. The lock should generally not require frequent cleaning. However, if you wish to clean the lock, dampen a non-abrasive cloth (such as microfiber) with water and/or a mild cleaner and gently wipe down the lock. Make sure that no water or liquid enters the battery compartment. My door keeps jamming when I try to use the lock. Check the lock to make sure that nothing is loose or has been jammed into the lock. Check to make sure your batteries aren’t low. Refer to the previous question about latches, and make sure the latch bolt correctly extends. You will need to disassemble the TurboLock to check if there are any visible signs of damage. Otherwise, you will need to send the TurboLock to the return center. How do I disassemble the lock? Use a screwdriver to unfasten the two screws at the back of the lock then detach and remove the battery compartment. Unfasten the two screws holding the back section of the lock to the door and carefully separate any cables. Unfasten any remaining screws from the front section of the lock and unfasten and remove the latch and any other parts as needed. Remove the battery cover then remove the batteries. Use a screwdriver to unfasten the screws at the back section of the lock, taking care not to bend or touch the cable in the middle. From there, unscrew the front cover and disconnect the cable. Both sides of the TurboLock should then be loose. Set down both sides. Remove the battery cover then remove the batteries. Use a screwdriver to unfasten the screws at the back section of the lock. Disconnect the cables and set the back of the lock aside. Use the screwdriver to remove the screws from the plate and then remove both the plate and the front of the lock from the door. This lock cannot be disassembled. If needed, the back cover may be removed with the included screwdriver to access the power switch and the charging port. This lock cannot be disassembled. If needed, the cover may be unlocked removed with the included screwdriver to access the power switch and the charging port. How do I get more MIFI cards? Please visit our website to purchase additional cards. What is a Mifi Card? MiFi is short for MiFare, a type of smart card technology that incorporates AES and DES/Triple encryption technology. Your MiFi card is a small card that you press against your TurboLock TL-100 to scan it. Hold your MiFi card near the keypad while making sure there are no other MiFi cards, Bluetooth-connected phones, or other devices nearby as these could interfere with connectivity. Check to make sure your individual MiFi card isn’t the issue by trying to swipe another MiFi card through the system. If both MiFi cards are unable to go through, there may be an issue with your TurboLock. Please contact customer service. Please contact us to purchase more cards. How do I pair a Mifi card? Use the keypad to enter the Admin Password then enter ‘#’. Enter ‘7’ then enter ‘#’. Move the card in front of the keypad. The lock will emit sound when it detects the card. More cards (up to 20 at a time) can be added as desired. Wait for the backlight to go out so that the new card successfully saves. If desired, test the card to confirm it was added. I’m unable to connect to my TurboLock via app. The TurboLock will enter pairing mode. Tap the + icon then select the type of lock you are attempting to pair to. The app will automatically search for the lock. Use the key to unlock the Parking Lock’s cover then remove it and set it aside. Use a screwdriver to unfasten the Control Box’s lid then locate the Reset Button. It should be a small white button connected to the green mainboard. Press and hold the Reset Button for ~2 seconds and release it when the nearby LED light begins flashing red. This means the lock is now resetting and can now be paired to a new phone if needed. Turn on your smartphone’s Bluetooth function then open the app and log in with your account. Tap “+” in bottom bar to enter the Add New Lock screen then tap “Parking Lock”. The app will start searching for the lock. Wait for the lock’s name to appear then tap “Ready to Pair”. The app and lock should begin pairing. 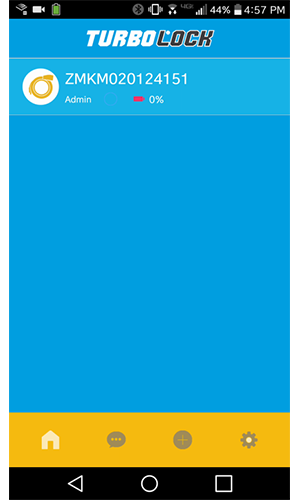 After connecting successfully, the app’s Home Screen should appear. My phone’s Bluetooth is unable to find the lock despite being close by. Make sure there are no other Bluetooth devices nearby that are connected as this could potentially interfere with the TurboLock’s connectivity. Additionally, make sure that you are within the lock’s 32ft connectivity range. If you are trying to connect to the lock for the first time; note the lock may need to be in pairing mode before it will be visible on your phone. The app keeps shutting down on my smartphone. The Battery Indicator in the app shows 70% even though I just changed the battery. Check to make sure that your batteries are full and restart the app. If the problem persists, contact customer service. How do I monitor who’s been coming in or out? After opening the app, tap the speech bubble icon to open the System News menu. Unlock records as well as other system info can be found here. I’m having issues with giving the keys out. If you’re having issues with giving out keys to your friends, please ensure that your friends have also downloaded the TurboLock app on their smartphones. When choosing the recipient to send the code to, it’s important you enter in the same email address and phone number that they used to register with or vice versa. Your friends may need to download the app and create an account with the same email or number you sent the key to. Note: if you are not the lock’s admin you may not have permissions to send keys. How do I give out keys to my friends? After opening the app, tap the lock to open the main interface. Tap “Reset Keys” to receive key permissions from the TurboLock server. 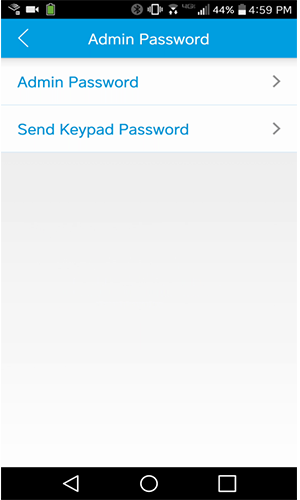 Tap “Send Key” to open the corresponding menu. The key will then be sent to the recipient via the chosen method. Note, if you are not the lock’s admin you may not have permissions to send keys. How do I give someone a keypad password? A temporary key should then display on-screen. Give this code to the desired party. I’m having issues downloading the app. In order to download the app, please go to either the Google Play or Apple iOS App store and download the TurboLock app. It should be noted that TurboLock does not currently offer support for Windows Users at this time. If you are having issues with downloading the app, make sure your phone has been updated to the latest OS version before trying again. Can I use the TurboLock app anywhere? / Can I open the door if I’m not at home? You can use the app wherever you like! You can use the TurboLock app anywhere that you have an internet or mobile data connection. 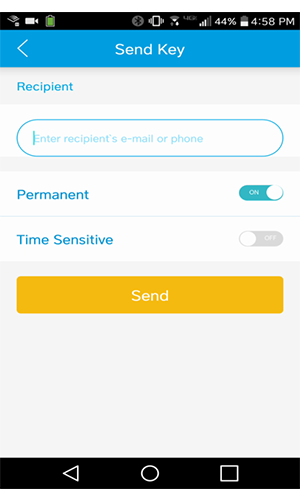 This allows for you to send keys, check unlock records, and manage users away from home. Please note, the app does NOT have a remote unlock feature. All unlock methods require a keyholder to be in reasonable proximity to the lock. To open the door or otherwise use the lock, a keyholder, yourself or another, must be close to the lock in order to use a digital key via mobile device or enter a code via the lock’s keypad etc. 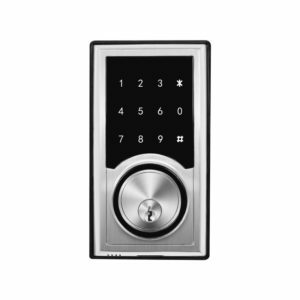 Digital unlocking uses the Bluetooth® technology. All modern Bluetooth® technology, TurboLock or otherwise, requires users to keep the two connected devices a reasonable distance apart. Movement outside of this distance will terminate the connection between the two. What systems does the TurboLock work on? The TurboLock was designed to work with most Android and iOS devices. Please note, due to the wide variety of Android devices and Bluetooth® technology on the market, use TurboLock products with older Android smartphones i.e. older Android operating systems may cause delays. What happens if I forgot my password for the app? If you forget your password for the app, you can use the app to send an email to the email address you signed up with a link to reset your password. 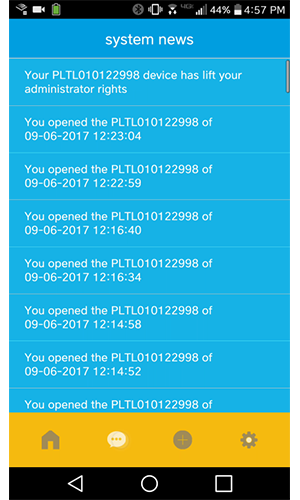 How many locks can I connect to with a single phone? There’s no limit to the number of locks you can connect to with a single phone. How many people can be admins on the app? Each TurboLock app allows for one admin. Do I need an internet connection to set up the TurboLock? If you’re planning to set up the TurboLock for manual use i.e. without the app, then you don’t need an internet connection. If you wish to use the app however, you will need a mobile or data connection.